Again, Gamer Storm have provided us with a solid product for testing, with all of the relevant pieces required for any build. Starting with installation which was as simple as any other all-in-one watercooling loop, though the cables around the back with two different controllers and two connections to each fan can be difficult to manage, Corsair offers a much better solution by controlling everything via a USB header. Moving onto appearance, the pump is certainly an acquired a taste; one that we didn’t possess, sadly, but we’re certain that others will like the industrial appearance with the RGB lighting, which, while we mention it, is incredibly bright and vibrant and looks fantastic within our chassis. Build quality is acceptable but difficult to test on something like this, where long-term reliability is what matters most, however, Gamer Storm do claim the loop to be completely leak proof. The main appeal, for us at least, with Gamer Storm (and Deepcool, who are essentially the same company) is the low pricetag they usually sport. The Captain 240 Pro is different though, almost crashing onto the lap of the Corsair H100i Platinum and leapfrogging their own Castle 240 RGB by around £15. 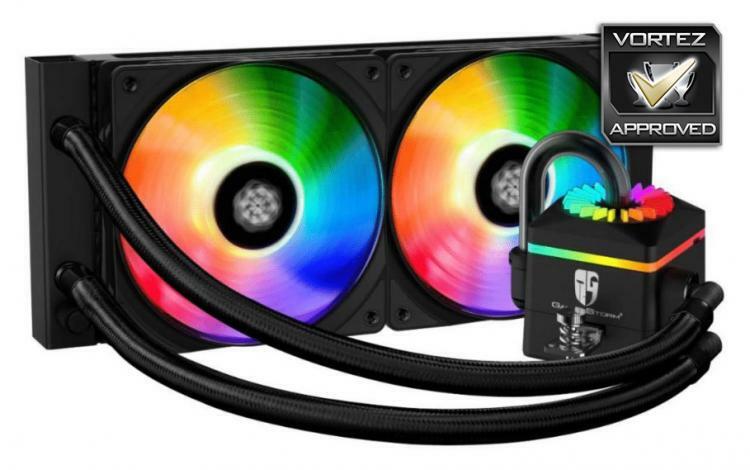 We can’t really see any reason to buy this over the cheaper Castle 240 RGB. Slightly too costly to fully recommend but a good, capable cooler all the same.